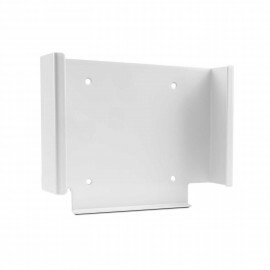 The Vebos wall mount for Apple is the ideal wall mount for your Apple mac mini, TV 2, TV 3 and TV 4. The Vebos wall mount for Apple is made of high quality steel and is beautifully finished with a beautiful powder coated in the color of your Apple console. The Vebos wall mount for Apple is easy to mount and ensures neat cable management. Looking for a Apple Mac Mini mount? Then you can contact Vebos. This wall bracket allows t.. 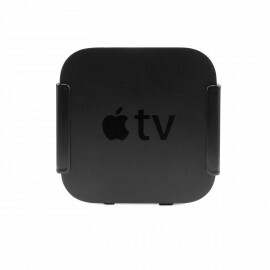 Looking for a Apple TV 4 mount? Then you can contact Vebos. This wall bracket allows the A.. Looking for a Apple TV 3 mount? Then you can contact Vebos. This wall bracket allows the A.. Looking for a Apple TV 2 mount? Then you can contact Vebos. This wall bracket allows the A.. Looking for a Apple TV 4K mount? Then you can contact Vebos. This wall bracket allows the ..